Car crashes, nuclear explosions, and even asteroid impacts are relatively puny compared with some of our universe’s other explosive events. Heck, a violent, seemingly infinitely hot explosion is probably what set the whole universe in motion in the first place. So big collisions, like those between black holes many times the mass of our sun, could have some pretty wild consequences. Like scarring spacetime itself. Others think there’s reason to be skeptical, of course. Gravitational waves are ripples in spacetime caused by the universe’s most violent collisions, and we detect them with experiments like the Laser Interferometer Gravitational Wave Observatory (LIGO) and its European counterpart, Virgo. These detectors are a series of several-kilometer-long L-shaped buildings that measure gravitational waves passing through Earth as tiny differences in the distance traveled by two laser beams’ light waves. 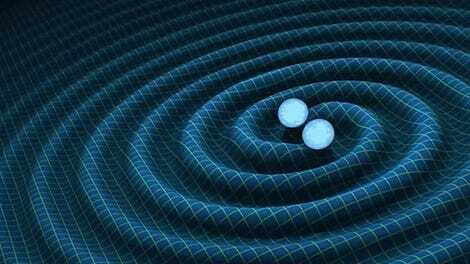 Scientists have spotted gravitational waves twice, maybe three times. If these waves permanently altered spacetime, our detectors might be able to measure the slight change. These changes to spacetime wouldn’t affect your life at all, since they’d be tinier than the individual protons and neutrons in atoms. But the idea is that, given enough passing gravitational waves from incredible black hole collisions, we’d eventually be able to pick up the sum of all these spacetime ripples as a tiny shift in the detector. This could happen after as few as 20 gravitational wave events similar to the first one ever discovered, according to a paper published last year. It’s possible that scientists might be able to spot the scars caused by gravitational waves without observing the waves themselves, which would be useful seeing as our gravitational wave detectors are only sensitive to waves with certain frequencies. Scientists named this idea “orphan memory” in a paper published this month in the journal Physical Review Letters. It’s a bit like The Flash’s footprints—something moving beyond the comprehension of our detectors but leaving behind a tiny hint of a passing force. Others researchers are excited about the prospect of detecting hints of higher frequency gravitational waves—these could signal exotic physics and extra dimensions, Sanjeev Seahra, associate professor in mathematics at the University of New Brunswick told Gizmodo. “But detectors such as LIGO are not optimized to see such signals, so the possibility that the gravitational wave memory effect could act as an observable low-frequency component to intrinsically high-frequency waveforms is very encouraging.” The detectors are optimized to see signals between 10 and 2000Hz (“Hz” means wave peaks per second). At least one scientist wasn’t so encouraged. I asked Lionel London, a research associate in gravitational waves at Cardiff University what he thought about using experiments like LIGO to detect the ghostly traces of past spacetime ripples, and he was skeptical. 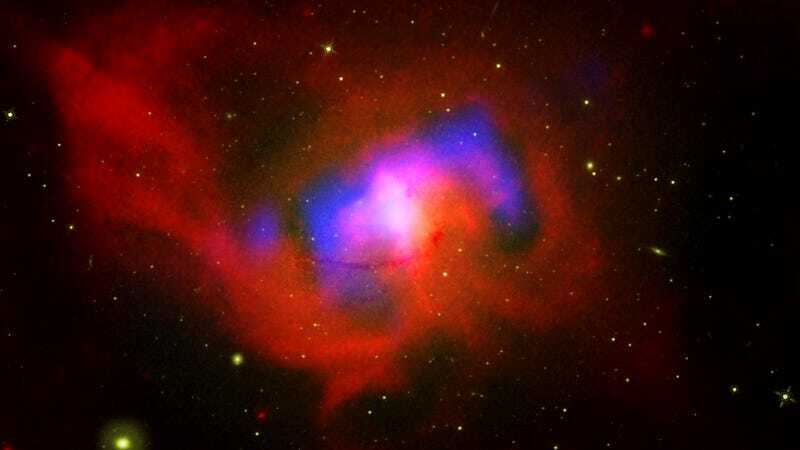 He pointed out that a few of the paper’s statements go against what many astrophysicists know about black hole mergers, like the amount of a black hole’s energy that gets converted into gravitational waves. The paper assumes the entire remnant black hole mass turns into gravitational waves after a collision, but London said at most 10 percent of the system’s initial mass can turn to gravitational waves. Additionally, there might not be any astrophysical sources in the universe that justify the existence of orphan memory—London thought that all of the examples that the authors cite were quite speculative. So, do the ghosts of gravitational waves leave an ectoplasmic scar in spacetime itself? If scientists are going to measure this signal, it’s going to require a lot of searching and stacking data. But mainly, it’s going to take a lot of waiting.